As before, these 45 videos are not sorted into any logical order. I've made my best guess based on titles to put them in a viewing order that makes sense. If you have these same tutorials I will give you a complete list of what I think is a good viewing order that won't leave you confused. (Though I'll probably do this as I reach the last few videos). 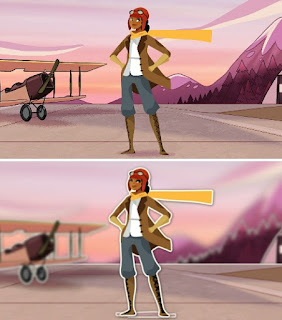 Demo animations a new look. 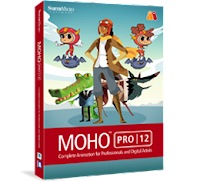 The obvious place to start was with a video about Moho's advanced project settings. Most of these features are fairly self explanatory and not particularly worth detailing here. 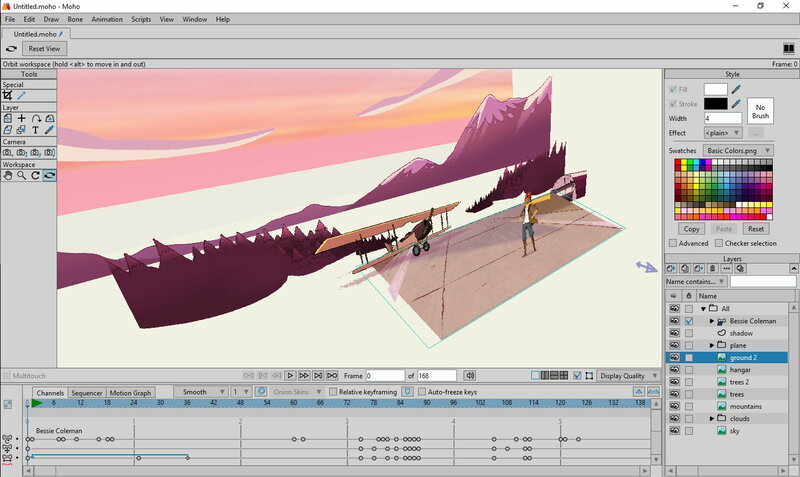 Of note was the Render Styles and Depth of Field settings which can really give your animation a particular look or style with all the effort of changing a few drop down menus (See image on the right). The next video focuses solely on the work space viewing tools. Again very straight forward but I did want to mention the Orbit tool, which graphically demonstrates Moho's 3D space capability. Even though Moho is primarily for 2D animation it does have some 3D capability beyond just reproducing a multi-plane camera effect - which these video tutorials cover later. For now you can see the multi-plane effect in the image below. 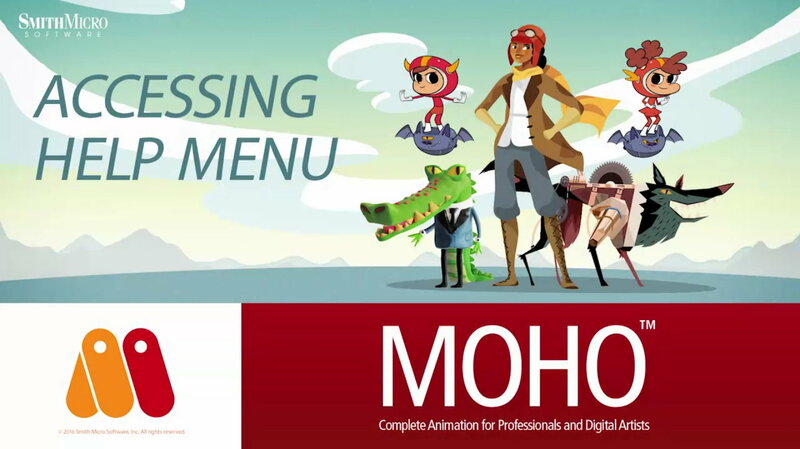 Moho is capable of creating 3D environments. The Advanced Drawing tools video is basically a compilation of videos already seen in the tutorials listed for both Debut and Pro. It does introduce four additional effect drawing tools not already covered (Perspective, Shear, Bend and Noise) but nothing particularly noteworthy or difficult to grasp in terms of how you use them. The last three videos on my above list are detailed descriptions of specific tools. The Random Line width feature lets you quickly add varied line widths to your vector drawings for a more hand drawn look. 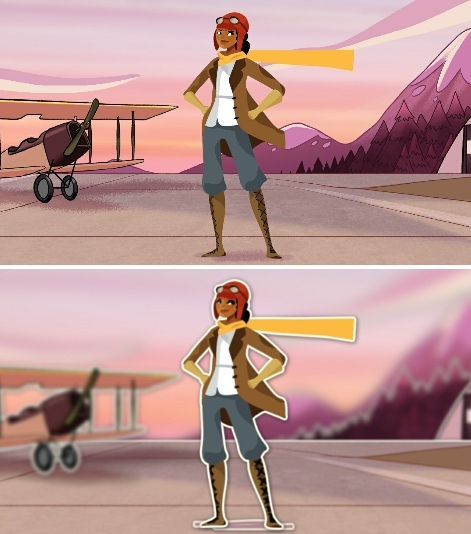 The vector shape selector is just another way of selecting shapes without changing to the specific layer they're on. The Trace function has already been covered but is given a more detailed explanation here. So far there's nothing here that's too difficult or outstanding. Next post I'll continue on through the videos, highlighting anything that particularly catches my eye as being something that's handy to know about.